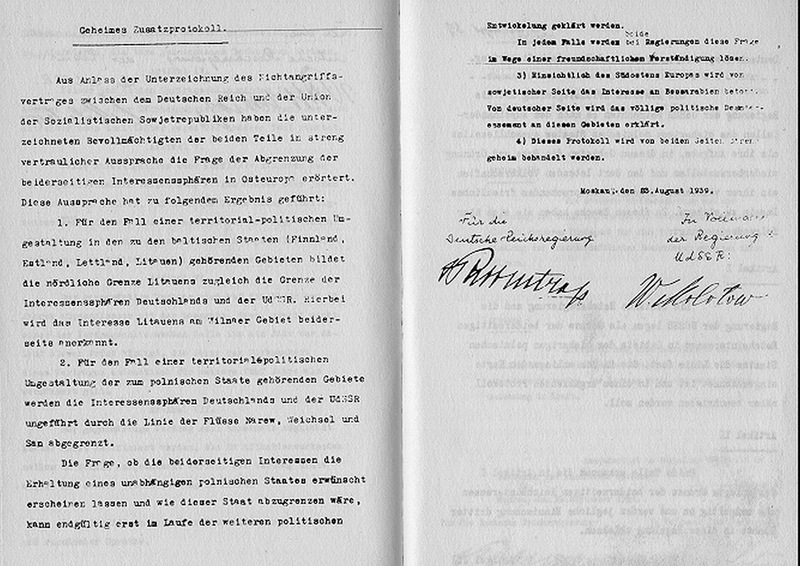 The Molotov–Ribbentrop Pact, named after the Soviet foreign minister Vyacheslav Molotov and the Nazi German foreign minister Joachim von Ribbentrop, officially called the Treaty of Non-aggression between Germany and the Union of Soviet Socialist Republics was signed 75 years ago today. 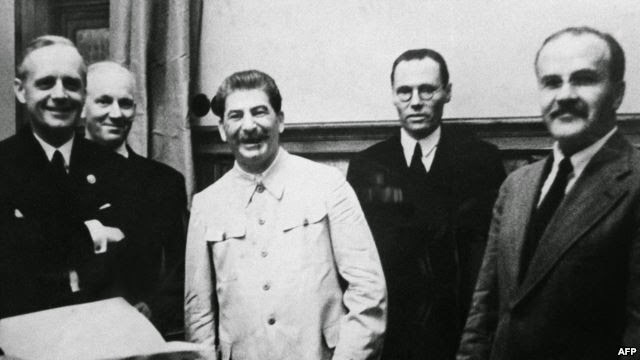 Made public on August 23, 1939 the Molotov Ribbentrop Pact was a Nazi-Soviet Non-Aggression Pact with secret protocols setting out how the two regimes would divide Poland and the Baltic States. World War 2 would begin with the invasion of Poland by Nazi Germany on September 1, 1939. 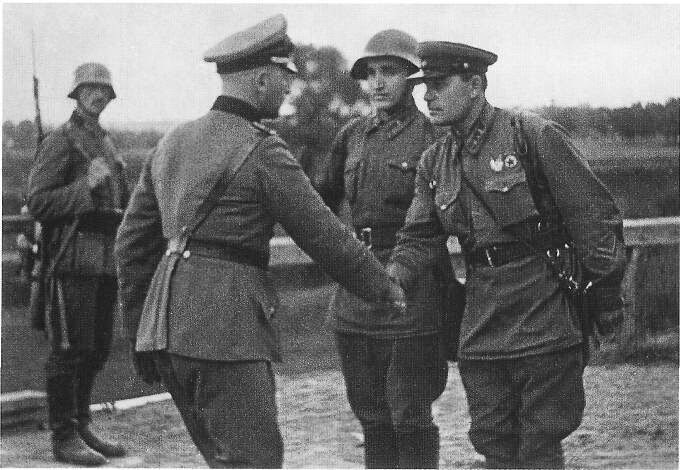 The Soviet Union invaded Poland from the East on September 17, 1939. The double invasion is dramatized in Andrzej Wajda's 2007 film Katyn. This important date in history and cautionary tale for democrats is largely ignored. Should disputes or conflicts arise between the High Contracting Parties shall participate in any grouping of Powers whatsoever that is directly or indirectly aimed at the other party. With regard to Southeastern Europe attention is called by the Soviet side to its interest in Bessarabia. The German side declares its complete political disinteredness in these areas.